It's another beautiful weekend in San Francisco. The perfect weather in fact to take a sail or make a secret escape. And what's a day on the bay without a new outfit?! 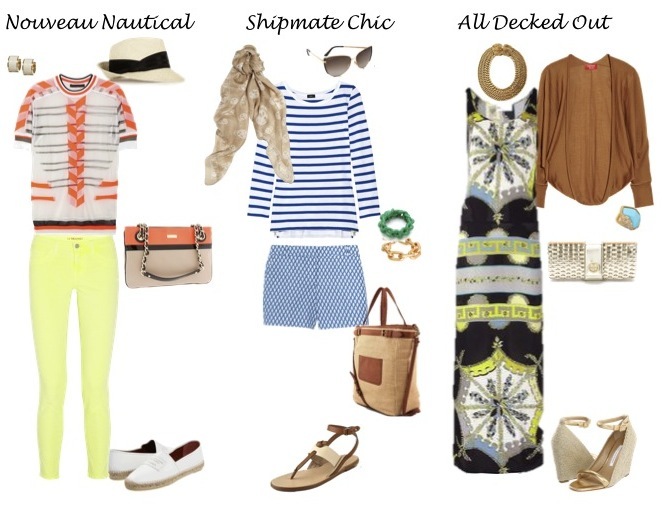 What's your favorite style: Nouveau Nautical, Shipmate Chic or All Decked Out? The outfits are gorgeous!! Love them all! I wish I was going sailing today when I see these looks! :) Love the style! great look you made honey, i really lov it!!! i want to sail now, after finishing my terrible exams heej! All Decked Out, I love it!! love the dress on second photo ! That maxi dress is gorgeous, I love the look. I love all things nautical and preppy, so definitely a fan of the Shipmate Chic outfit! Lovely photos ! I am a big fan of the navy inspired looks ! 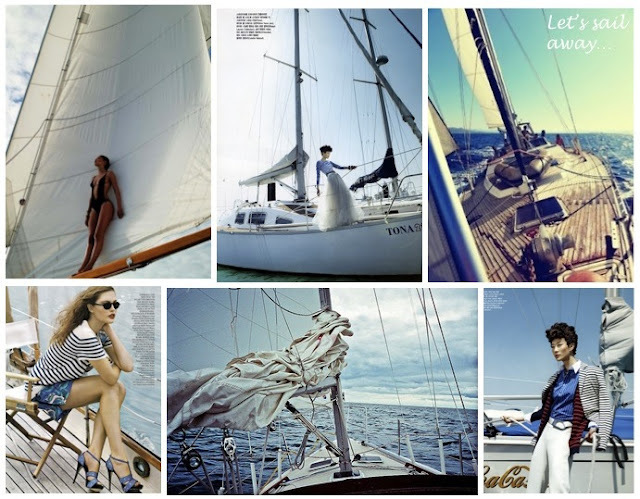 Oooh, I'd want to sail away in some of these outfits! That's a tough choice, but I'd have to choose the All Decked Out. Great outfits! So many beautiful looks! I love shipmate Chic the most! And thank you so much for commenting/following my blog! I am now following you back with pleasure! wow! suc a beautiful looks,love it! i followed you,wanna follow me back^^? there is new post on my blog! I always enjoyed sailing on the SF bay. It happened much more frequently when I lived in Glen Cove/Benicia. These collections would make the whole experience super chic. I love them all-but that Pucci dress had me at 'hello'! I love the shipmate chic set! the nautical look has always been a favorite. I love this style. Resort wear is so pretty, and it makes me want to go on some incredible vacation. Love this and love your blog. I am following you now! I love the outfits, my favourites are the 2nd and the 3th:) I love maxi dresses and over size sweaters and also navy-white sail style! But the light yellow jeans are super cool too! Super cute looks! Loving the Shipmate Chic look! Oh my gosh, I am a total fan of the nautical look overall! But my favorite one is the Shipmate Chic. Perfect for the summertime, especially here in Florida. Nr.1 & 2 :) They look so beautiful! Awesome!!! I was hunting around for a little keel boat today...these outfits are perfect to wear on the days I'm not out on the water! Love this post. I can't wait to get out on Lake Michigan come this summer! Gorgeous!! Love nautical style all year long but especially in the summer :) Shipmate Chic is definitely my fav! Loving this post! I just went sailing on Friday - I was definitely "all decked out"!